June 14, 2016 - Like us now! Telenor Group announced today that they have appointed Irfan Wahab Khan as the new CEO of Telenor Pakistan. Mr. Khan previously served as the Deputy CEO and Chief Marketing Officer of Telenor Pakistan. This decision makes him the first Pakistani to serve as CEO ever since Telenor started its operations in Pakistan. Michael Foley, Telenor Pakistan’s current CEO, has been appointed to Telenor Bulgaria. The new appointments will become effective from August 1, 2016. 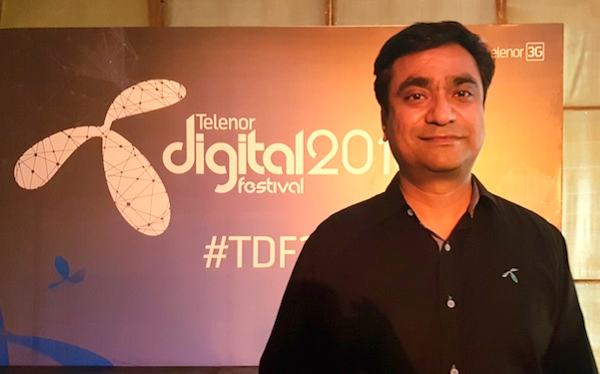 Irfan Wahab Khan has been a loyal Telenor employee where he started at the position of Executive Vice President and Head of Corporate Affairs Division in 2004. Since then he has served in various positions within Telenor Group both in Asia and Europe, including Vice President Devices and Vice President and Head of Asia Distribution. Michael Foley, who joined Telenor Pakistan in 2014, will be stepping down from his duties as CEO and taking up the same position in Telenor Bulgaria. Mr. Foley has more than 30 years of sales, marketing and operational experience in the telecom and retail sectors from both advanced and growth markets. He previously worked in Bulgaria from 2004 – 2005 where he then, too, held a leadership position in the telecom sector. Ifran Wahab Khan and Michael Foley will both continue to hold their current positions at Tameer Microfinance Bank as Board Member and Chairman of Board of Directors respectively. Both will also be a part of the Group Executive Management team.